By choosing a CdTe sensor, which improves the image quality while keeping radiation exposure to a minimum, Genoray has shown that it puts patient is safety first. 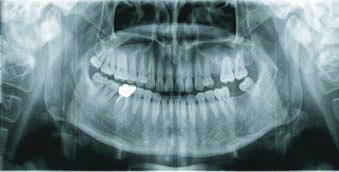 Multi-focus function ables to overcome operator's mistake from patient's faulty positioning and re-exposuring X-ray. By reconstructing image with software way, the panoramic images layer can be corrected by multi-focus function.